The cure for some of the world’s deadliest diseases may be living at the bottom of the Great Lakes. This is the theory Brian Murphy, a medicinal chemist at the University of Illinois at Chicago (UIC), set out to test in 2012 when he scoured Lake Huron in search of a largely unexplored type of bacteria that may hold the key to new treatments. 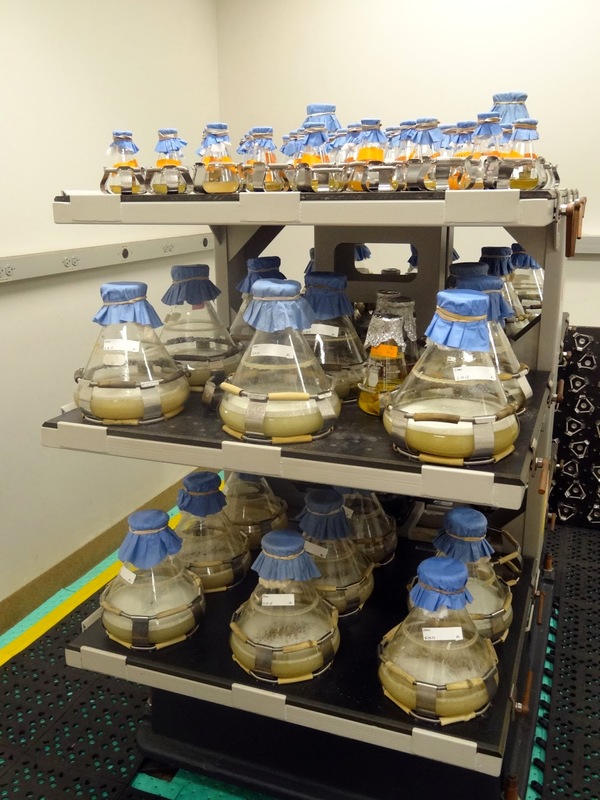 The IISG-funded study unearthed more than 600 strains of freshwater actinomycete bacteria, making it one of the largest “libraries” of its kind in the world. Murphy—with help from UIC researchers Scott Franzblau, Joanna Burdette, and Lijun Rong—is still testing whether these strains can be used to create new treatments for tuberculosis and other life-threatening diseases. But their initial results suggest that at least a handful of freshwater bacteria could lead to new cures. A microbe’s medicinal power lies in the small compounds they make to defend themselves, which can destroy cell walls, prevent DNA from replicating like it should, and more. Current treatments for many diseases are built around the chemical defenses used by land-based cousins of the bacteria Murphy has collected. But some treatments, like the ones for tuberculosis, require patients to be on a complex cocktail of antibiotics for months at a time. Worse still, a growing number of diseases are now resistant to standard drugs. The hope is that some of the freshwater bacteria in Murphy’s library might create molecules that dangerous pathogens have yet to evolve defenses against. 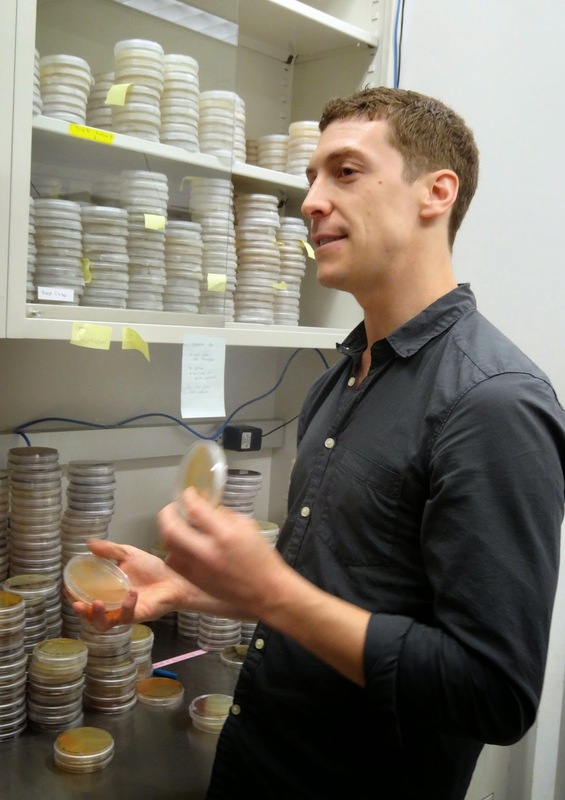 Murphy and his team will spend the next few months scrutinizing chemical compounds from 10 actinomycete strains already showing disease-fighting potential and comparing them against known antibiotics, anti-virals, and anti-cancer agents. At the same time, they will keep working through their bacterial library hoping to find even more molecules with drug-like potency. Just as important as finding new molecules is learning more about the relationship between a microbe’s chemical properties and where it lives. This is where Murphy’s library of strains really comes in. Its size and diversity will help reveal both whether aquatic actinomycete bacteria are significantly different than their land-based counterparts and if strains found in different lakes use unique chemical defenses. Because of his collection, Murphy has already discovered that the makeup of actinomycete communities in Lake Huron varies both by location and depth, a diversity that makes the lake a potentially important site in the hunt for new cures.